The next time you find yourself sent back in time to 1960s Britain and need a slick jacket to match your brand new (or likely used) Lambretta, make sure to visit RevZilla.com and check out REV’IT’s new Zircon and Jackson Jackets. Nevermind the Internet being invented decades in the future, stop on by and ride in style. The REV'IT! 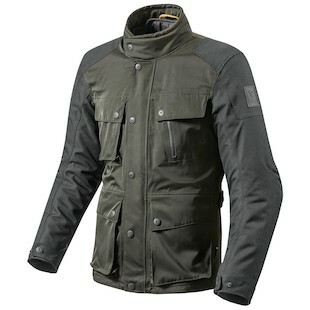 Zircon Jacket comes to us with REV’IT’s proprietary Hydratex waterproofing system, permanently installed. A removable thermal liner can be used if things get nippy, and if you decide to get better acquainted with the asphalt, you’ll enjoy Knox Lite CE armor and a wax coated cotton twill chassis. Wrapping everything together is a stylish waist belt and adjustments at the collar, cuffs, and hem. Three colors - Black, Dark Green, and Sand, will appeal to any number of your multiple personalities. Practice your British accent with a new-found sense of legitimacy - all it takes is the new Zircon Jacket. The REV'IT! 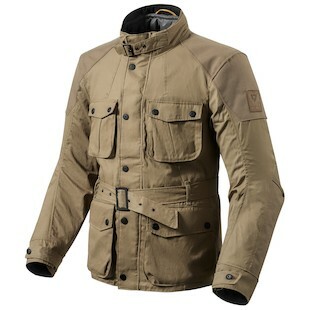 Jackson Jacket is the Janet to the Zircon’s Michael, complete with an alliterative name and a slightly altered, polycotton twill outer shell. The Jackson retains the thermal and waterproof liners, but forgoes the waist belt for a more streamlined, Mod look. Plenty of stash pockets and adjustable pulls and snaps will make sure you and all your gear is safe and secure - no wardrobe malfunctions here. Reflection at the collar of both jackets will keep you visible enough on the streets, but you’ll still have to dodge scooters as they zip around downtown. Most of you are no stranger to REV’IT’s quality construction and Euro looks. The Zircon and the Jackson take a page out of their own book and prove once again that REV’IT is the king of stylish, urban riders.